The man is unarmed. The chokehold is banned. The coroner ruled it a homicide. It is on video. None of this matters. I can’t breathe. I don’t post about politics often. There are plenty of other voices out there already — voices smarter and more relevant than my own — so I try to sit back, listen, and learn. I try to understand and really consider what people are saying, even when it’s not pleasant. Maybe especially when it’s not pleasant. I try to question my thoughts and feelings, to examine my own experiences and beliefs. I try to figure out what I can or should do to create positive changes in myself and my community. Because I believe in the power of words and stories, I like to share the things that I think more people should read/see/hear/watch. Below is one such thing, written by a friend of mine from college. Just wanted to say this: if you are angry, confused, upset, etc, consider this a call to action. If you are not okay with the verdict, consider this a time to act. If you’re wondering: what can I do? Google it. If you live in a major city, there are action groups around you, and they will be demonstrating. Join them. So now: the hurdle. You’ve read articles about looters and rioting, about tear gas and arrests, of chaos and destruction. If you’re hesitant to go to a march, I can understand why. But I will just say this: I personally have been to a bunch of protests here in St Louis. We’ve closed down highways, marched downtown, you name it. I have seen no violence, I have seen no looting, I have seen no fires, no fights, no crazed and raging protestors. All has been peaceful, all has been constructive, all has been people joined together to show support. Honestly, when things start to shift, it’s very clear (and also usually much later in the evening). You’ll see a line of police in riot gear, often times with gas masks on. This is the turning point. This is where everyone makes starkly different choices. Some people do not back down. Some people stay, but at a distance. Some people decide to go home. Whatever you choose, I really don’t care. I’ve chosen each of those paths on different nights, and I understand each one. So do what you feel you’re ready for. My point is this: these protests are calm and organized. They are a show of support, and a way to find more local organizers for future action steps. They are a way to do something more productive than posting “WTF” on Facebook. If you go, you will see what this is really all about. You’ll have a perspective formed from action, from experience, and not from a frenzied media. And if one night you decide to stay, you might see things left unreported, like your local coffee shop or church tear gassed by police. You might hear the heartbeat of democracy. Do not be afraid. 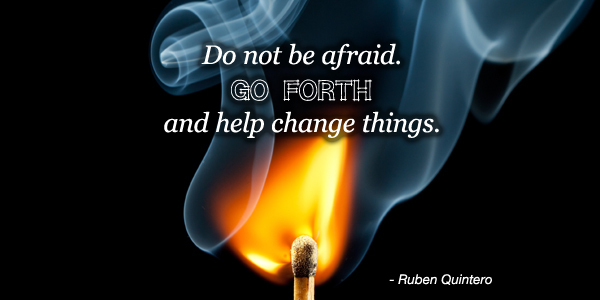 Go forth and help change things. Watching justice fail across our country, I am unspeakably sad and deeply discouraged. Yeah… I imagine it might be even harder for someone with a better working knowledge of how the justice system is supposed to go.